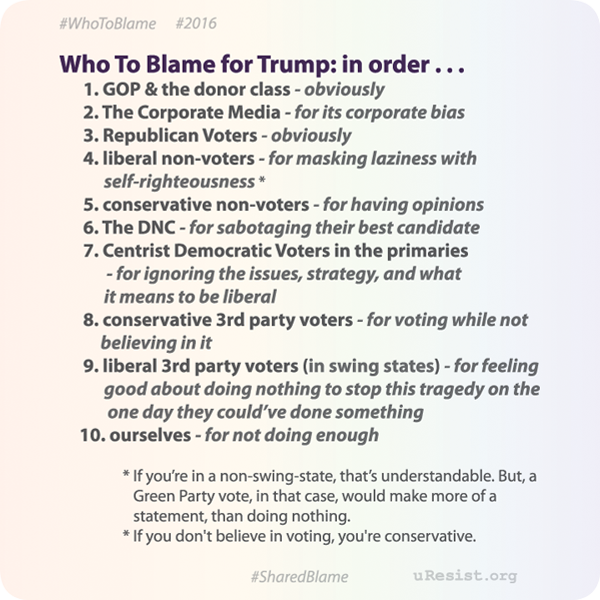 Who To Blame for Trump: in order . . .
of a statement, than doing nothing. ● NYC, You've Failed Us!